Warid always produces an exceptional feature for all his valued customers of Pakistan and at this time they have provided Mifi Device for his subscribers to use with an excellent shared LTE plans. This is one of the unique and versatile feature has been launched by this telecommunication side for its customers. Now subscribers can avail phenomenal internet deals through that feature. 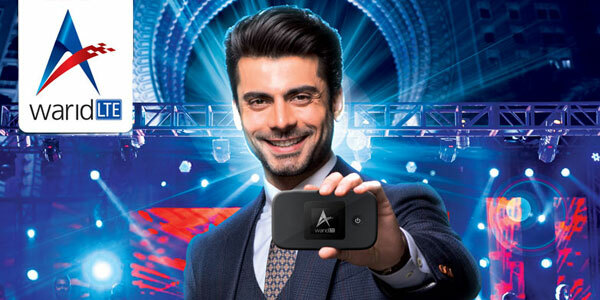 Warid Mifi Device is available to purchase in market with an affordable price and all criteria and different levels people can easily buy this an exceptional device to use fast internet service on regularly basis. This is something special feature launched from this telecommunication side and customers are attracting to purchase this Warid Shared LTE plans to avail internet facility. Customers can also travel in many locations with this feature and they can easily utilize internet facility at anywhere in Pakistan. This device provides an excellent offer of consumers. This is portable wireless router and users can easily connect almost 10 connections at single time without any issue. The range of network is 30 feet maximum and you can easily enjoy quality of network service till mentioned range. This feature gives efficient security service for buyers and no outside users can connect from this facility without any authority. Warid Mifi Offer provides hotspot facility for subscribers and they easily utilize properly by using it. The Plans of this feature is such an amazing and easily gets to attract of people to subscribe this offer to use internet facility. Buyers can purchase Device with LTE Plans along with SIM and 35 GB free internet bundles to use for next three months. They also provide three plans for consumers to avail are mentioned as below with complete details. Users can purchase Mifi Smart 15 GB monthly offer in just RS 1500. Users can purchase Mifi Extra 20 GB monthly offer in just RS 2000. Users can purchase Mifi Smart 35 GB monthly offer in just RS 3000. All these mentioned plans bundles can subscribe from Webcare facility. This telecommunication is providing exceptional share LTE plans of 2G internet of consumers and users can easily enjoy fast net facility by using it. This telecommunication is first one who has offered this LTE plans of his valued consumers and all the prepaid and postpaid customers can easily avail this phenomenal service of this telecommunication. This service is available all in major cities of Pakistan and in many rural locations users also get this offer to enjoy quality internet service. Buyers get 35 GBs internet facility and they can also add two other numbers to facilitate with this service without any extra charges. You can add two others numbers from Ecare web portal. Buyers can only use 35GB internet bundle in one month. Buyers can continue to access GPRS/EDGE services in areas where LTE coverage is not available. All purchasers can buy this device from nearest official franchises or retailer shops. Prepaid customers can also get this offer from web portal of this telecommunication. Buyers can find SSID and Network/Wifi key from the back side of the Wifi device and they can read by removing the back cover of device.